My grandfather was a practical man. Reserved, guided by reason, and seemingly fiercely opposed to the absurdities of religion if my memories of conversations during family gatherings are correct. His first wife died when their two boys were very young. He eventually met my grandmother, who herself was a single mother of two girls. They married, joining both families into one, and lived happily for 44 years. He, a high school janitor (I always think of the line from The Breakfast Club – “I am the eyes and ears of this institution, my friends”), she a nurse. In his retirement, my grandfather enjoyed a quiet life of caring for his fish tanks and gardening. After he passed away a few years ago, my grandmother offered me his books. It was a pile of worn paperbacks I didn’t know he possessed by Edgar Cayce, Jess Stearn, and others, with titles like A World Beyond, The Search for a Soul, Legacy of the Gods, and Edgar Cayce on Atlantis. I didn’t expect him to be interested in such subject matter. Was my grandfather, like many of us, searching for evidence of something beyond this life to cope with the emptiness of his loss? My grandfather died of cancer last winter. Just recently I received his collection of books, revealing how similar our interests were, though I never realized it while he was still alive. I did know he was always searching for answers, for meaning…possibly hoping to make sense of the chaos and fill the void left in him when he lost his first wife decades ago. I hope he found what he was looking for. Of course, humanity has been asking these questions since the dawn of time, filling the terrifying void with gods and monsters to explain the unknown and bring us comfort in the darkness, to find meaning and hope that there is something waiting for us on the other side. That we don’t just blink out. 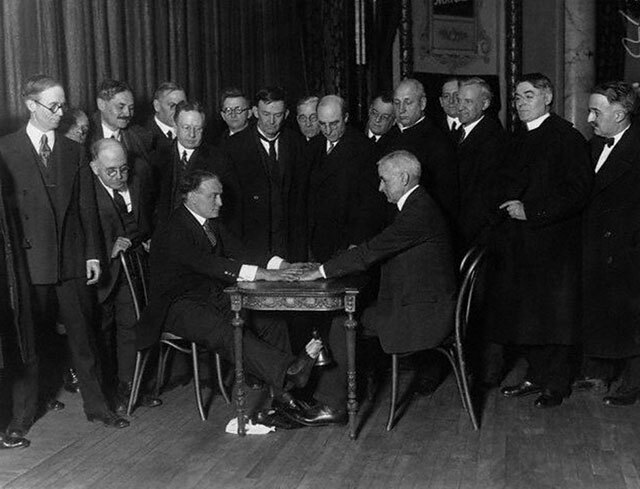 In the late 19th and early 20th centuries, Spiritualism offered a new comfort to those in mourning. 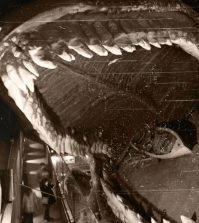 The dearly departed were never far away, proponents claimed, and certain attuned individuals could channel them back into our realm for grieving families. Usually for a price, of course. 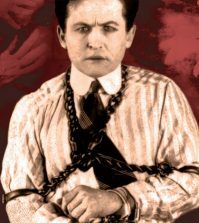 Skeptics like Harry Houdini set out to pull back the veil on those they believed were charlatans and reveal their parlor tricks to the public. 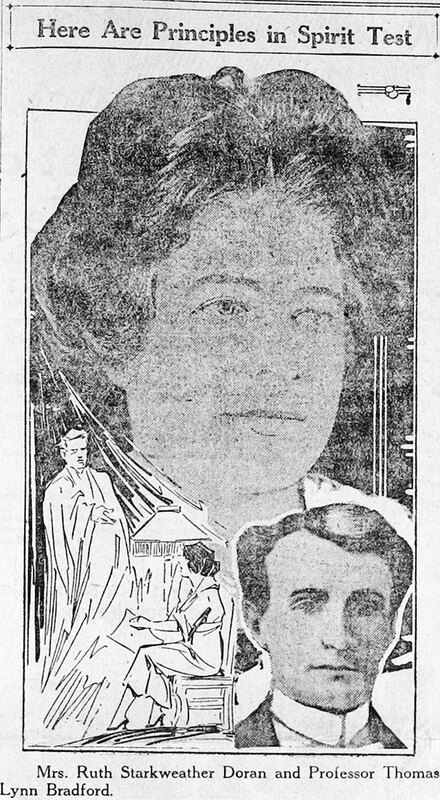 But, just in case the dead really could communicate with the living, Houdini made a pact with his wife Bess. If he died, he would attempt to contact her with a coded message only they would know. Houdini died unexpectedly on October 31st, 1926. Bess held a seance every year on the anniversary of his passing until, after ten years of silence, she gave up. Not even Houdini could escape the grave. On the other hand, some believed so strongly that they would go to great lengths to prove it. Like Detroit professor Thomas Lynn Bradford, for example, who committed suicide to prove he could send messages from the great beyond. Bradford intended to shed his fleshy confinements and contact Doran from the afterlife. 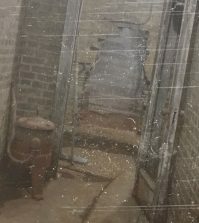 On February 6, 1921 Bradford blew out the pilot light of the heater in the room he rented, turned on the gas, and lay in bed breathing the fumes until he was dead. 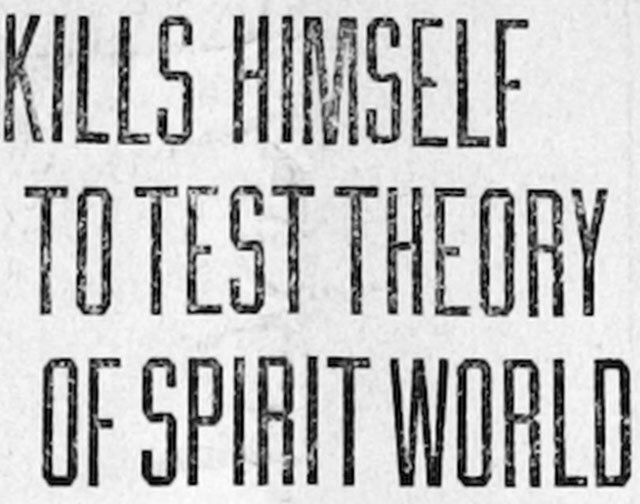 After two days the New York Times ran a story titled “Dead Spiritualist Silent” in which it was reported that Doran had yet to receive any transmissions from the afterlife. 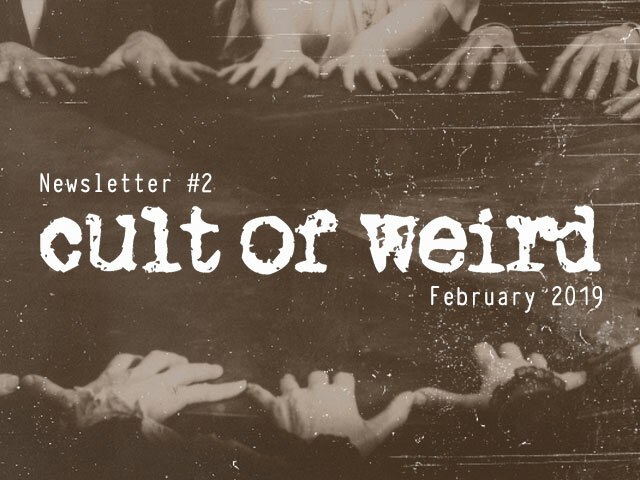 Three days later, while Doran was holding a two-week-long vigil in her parlor awaiting contact, a woman named Lulu Mack claimed to hear the spirit of Bradford calling her. According to Mack, she didn’t know who Bradford was, had not heard his story, but she discovered he was trying to communicate with her when she visited her reverend medium. Bradford’s spirit was weak, Mack said, because he had taken his own life. It may take some time for him to be purged and purified and pass into the next sphere. He may be strong enough to communicate once he reaches the second or third altitude, Mack explained. One week after Bradford’s birth into spirit life on February 12th, Doran said she felt a strange presence which she believed to be Bradford. She had the vague notion that he would contact her that evening. But he was not strong enough to manifest on his own. 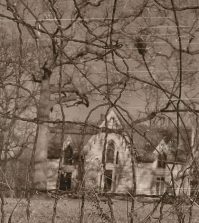 At 9pm, the hour appointed by Doran’s premonition, she and three witnesses who reportedly did not believe in spiritualism gathered in her dimly lit parlor that evening. When she felt the sensation of Bradford’s presence, Doran put her hands to her temples. “Turn out the light,” she instructed. I am the professor who speaks to you from the Beyond. I have broken through the veil. The help of the living has greatly assisted me. I simply went to sleep. I woke up and at first did not realize that I had passed on. I find no great change apparent. I expected things to be much different. They are not. Human forms are retained in outline but not in the physical. I have not traveled far. I am still much in the darkness. I see many people. They appear natural. There is a lightness of responsibility here unlike in life. One feels full of rapture and happiness. Persons of like natures associate. 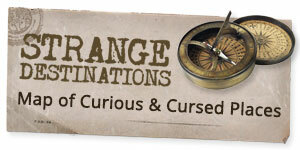 I am associated with other investigators. I do not repent my act. My present plane is but the first series. I am still investigating the future planes regarding which we in this plane are as ignorant as are earthly beings of the life just beyond human life. Then Bradford’s voice grew weak, the light flickered back on, and he was gone. “Are you certain, beyond doubt, that you heard from Bradford?” one of the witnesses asked Doran. Are these deep space radio bursts evidence of an impending alien invasion? 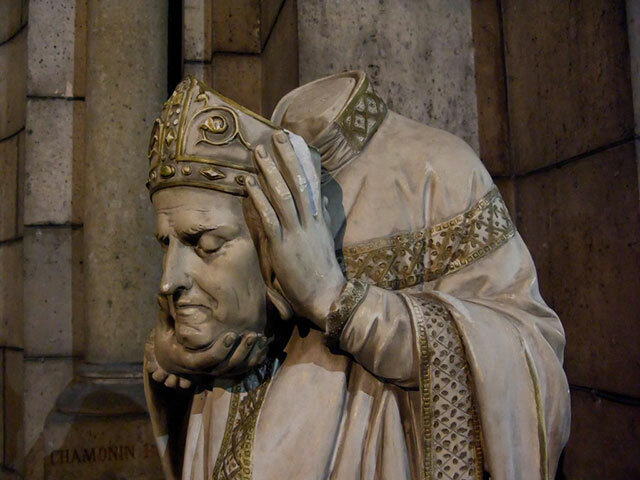 Saint Denis was a third century martyr who, according to legend, picked up his head after it was cut off and walked six miles while delivering a sermon. This statue is in the crypt of the Basilique Sacré-Coeur in Paris. Want to receive email notifications about new posts?